During high school, Laura and Gary’s children, Josh and Eliana, participated in an innovative Jewish Teen Foundation Board program that Laura helped launch in 2002 through the San Francisco-based Jewish Community Federation and Endowment Fund. Based on the model of giving circles, Jewish Teen Foundation Board programs offer teens the opportunity to explore Jewish values and ideas, develop leadership skills, and practice philanthropy. High school students apply to be a part of a local Teen Foundation Board and about 25 teens are selected through an in-person interview process. 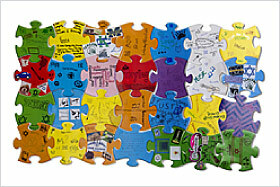 The teens meet together for four-hour sessions once a month through the school year. The students define a group mission statement, research nonprofits that fit that mission statement, and ultimately make grants using a consensus-based decision-making process. Persuasion and compromise are the name of the game. These grants address important social problems, such as access to clean drinking water, human rights violations, environmental concerns, and at-risk youth, using Jewish values that they study and debate during the process. The teens are led by a Leadership Council of their peers who participated in the program the prior year and apply to be among the eight students who become the Leadership Council, and run each session. Inspired by Josh and Eliana’s experiences in the Jewish Teen Foundation Board program, in 2013 Laura partnered with the Maimonides Fund and the Jewish Teen Funders Network of New York to launch the Jewish Teen Foundation Board Incubator to bring Jewish Foundation Board programs to cities across North America, Australia, and Israel. 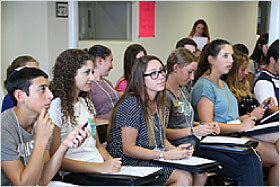 The Incubator works closely with each community to develop high-investment, high-intensity Jewish Teen Foundation Board programs. In addition to significant programmatic consultation, the two partnering funders provide participating communities with five years of matching support to enable their Jewish Teen Foundation Board programs to become fully sustainable. 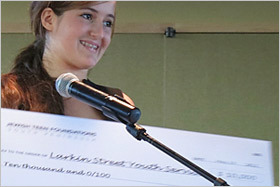 The communities that launched in 2014 as part of the first cohort of the Jewish Teen Foundation Board Incubator program are San Diego and Detroit. The second cohort of communities that will launch in the fall of 2015 includes Boston, Toronto and Melbourne, Australia.